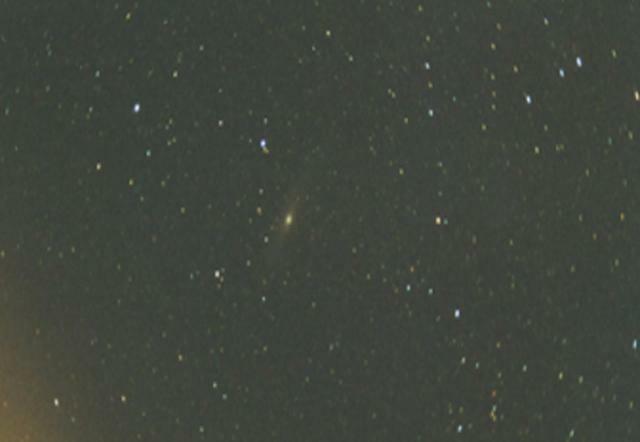 The fuzzy patch at the center of the image is The Andromeda Galaxy, which is the farthest object from Earth visable with the naked eye, it lies some 2.5 million light years away. There is thought to be a black hole at its core about 50 million solar masses in size. Andromeda is another constellation well known in Greek mythology.